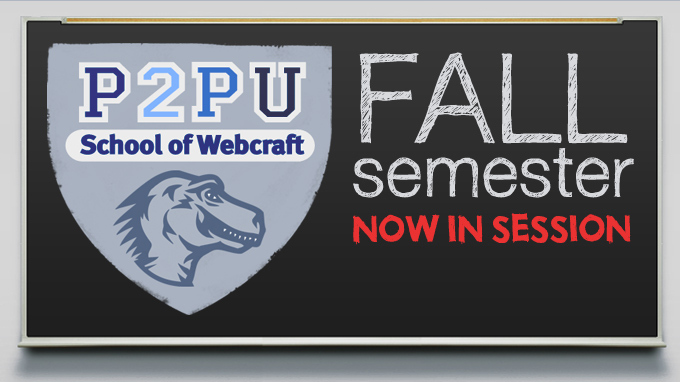 The School of Webcraft is now in session — and the first week of classes has been awesome. 15 courses are now up and running on everything from WebDev 101 to Beginning Python to Programming Visual Media. What does the school’s report card look like so far — and what have we learned? 15 courses. Over 500 applicants. 345 learners. The School of Webcraft web site, run by P2Pu.org, has a new theme and School of Webcraft branding. There’s an active issue tracker and P2PU web dev newsgroup. The class forums are already amazingly active and full of great content, with learners helping each other learn. Planet Webcraft is now active, with plenty of folks blogging about the project. Learners will be encouraged to blog here as well. The School of Webcraft community newsgroup has grown to 125 members, with regular community calls each Thursday. Lots of great buzz on Twitter and blogs. In the Web Development 101 class I attended, there were learners participating via video chat from Tokyo, Berlin, Brooklyn, Toronto and St. Paul — ranging from a grad student wanting to update her department web site to an architect hacking on his online portfolio. If these and other user stories are any indication, the School of Webcraft shows real promise in Drumbeat’s larger mission to attract new audiences to Mozilla and the open web. Phillip Smith’s “Hacks and Hackers” class is pairing 20 developers with 20 journalists, with Mark Surman and Chris Blizzard leading off with a killer presentation on why the open web matters to journalists. 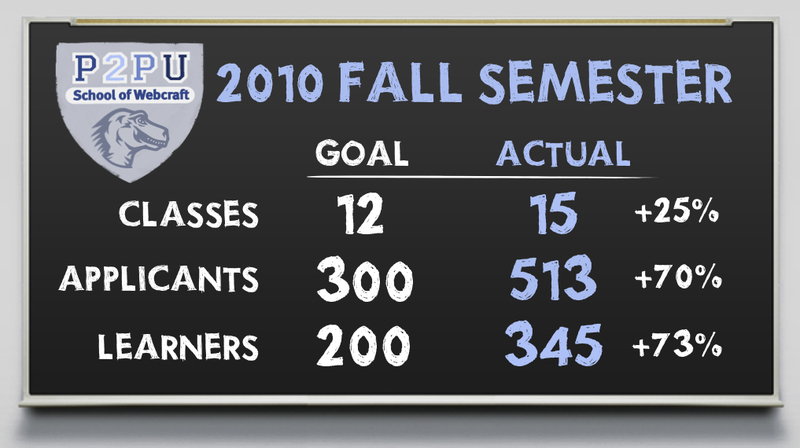 Help us scale up for next semester? Your course ideas for next semester. Especially courses geared towards intermediate-level learners. Donations. We’re kicking off a fundraising campaign so that we can scale up to reach more aspiring web developers around the world. You can help by making a contribution or spreading the word. Feedback. What’s working? What’s not? How do we help people around the world get skills and build careers using open web technologies? Leave comments here or on the School of Webcraft Drumbeat page.